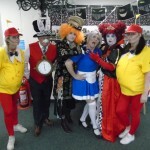 Dawsons offices put up another shocking performance for Halloween! 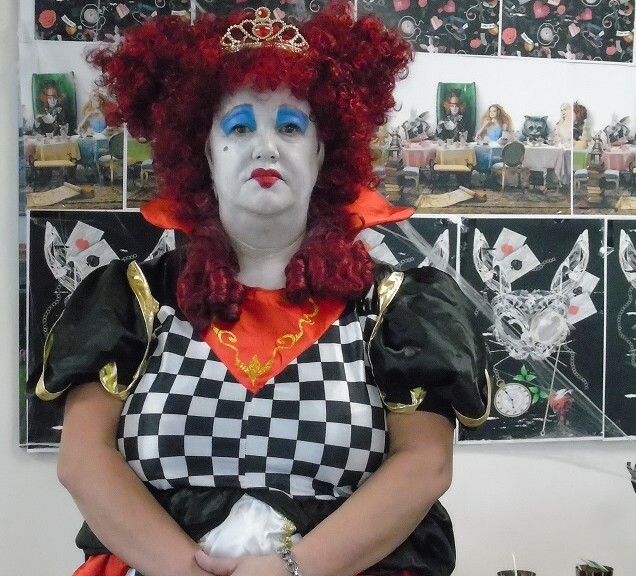 The standard of Halloween dressing up has been literally shocking this year! So well done everyone who took part across the company and special mention to Viv Jones (main picture) from the Marina Ofiice who won best dressed. But not forgetting Swansea Sales Office and Marina Office who jointly won the best overall office judged by Channel Communications. 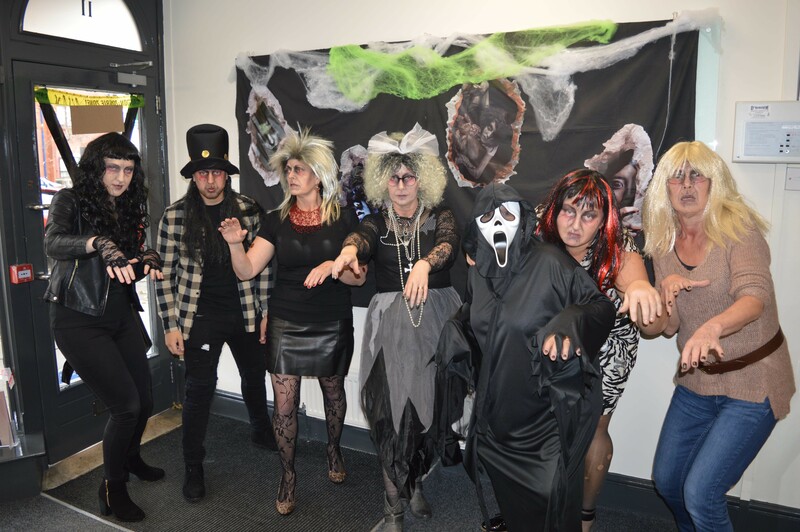 It was another fantastic year of dressing up and decorating offices and nice to see everyone got in the ‘spirit’. 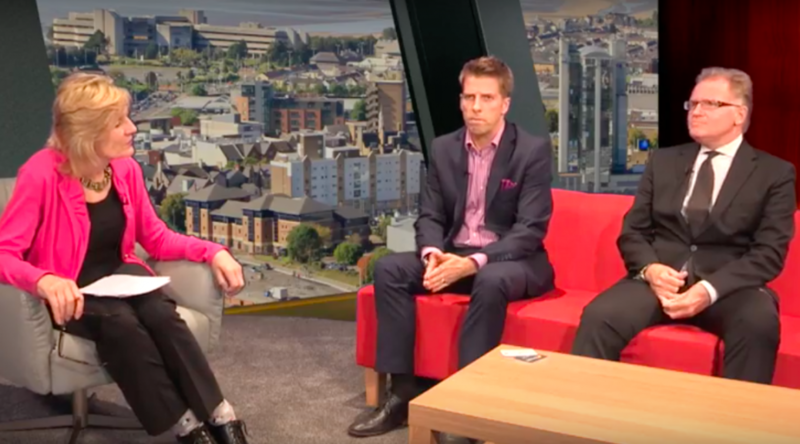 Dawsons pair Chris Hope (Senior Partner) and Ricky Purdy (Director of Lettings) enjoyed their time on the Swansea Bay TV sofa today talking about the esate agent’s client and staff reward card. So far Dawsons has joined up with a wide variety of well known local Swansea firms including Exall &Jones, The Yankee Shop; Candles & Co., The Optimist, 57 Barbers, Mr Jones of Mumbles, ND John Wine Merchants, Café Play, The Rose Indianne, and The Clothes Clinic and many others soon to be confirmed. Chris features on the whole show, while Chris and Ricky are both on in part two talking about the reward card. Dawsons is pleased to announce they have been shortlisted by Relocation Agent Network, a national network of selected estate agents, for the 2017 Best Agent South Wales Region Award. 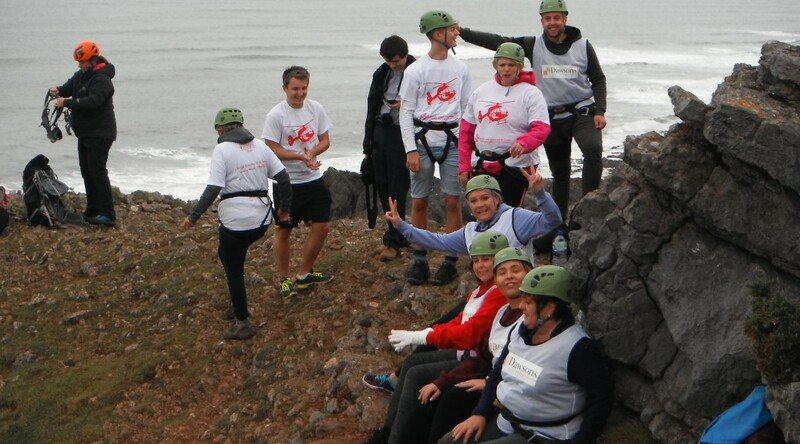 The winner will be announced at a gala awards dinner held at London’s Park Plaza Riverbank Hotel, on Friday, November 17 hosted by comedian and TV presenter Sue Perkins. Relocation Agent Network’s 2017 Best Agent South Wales Region Award is an annual prize for the agent that has consistently made the best overall contribution to the Network throughout the year and offers nominees the chance to become the Network’s ‘Best Network Agent in the South Wales Region’. To reach this stage of the award programme, agents must demonstrate excellent customer service, innovative business initiatives and a commitment to the Relocation Agent Network principles. Dawsons is delighted to announce the launch of its new customer and staff reward card on October 6th. The reward cards will provide discount and offers to new customers and all staff at the local property agent – the first of its kind in the industry here in Swansea. 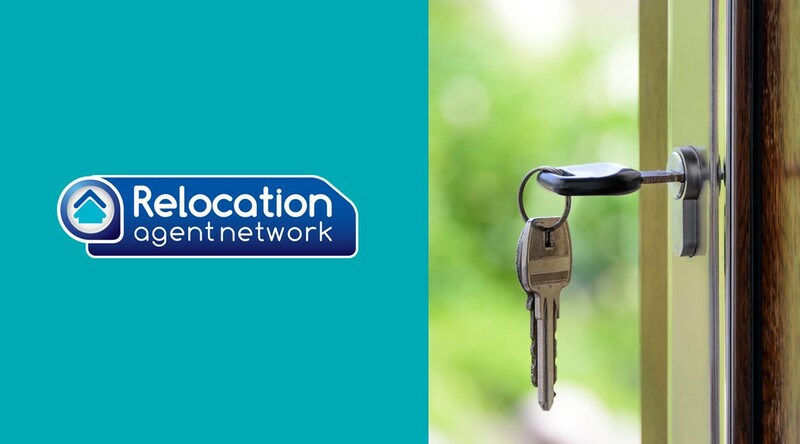 “We wanted to provide our customers with something a little different when collecting the keys for their new property and likewise to give our staff a little extra reward for all their hard work,” said Ricky Purdy, Dawsons’ Director of Lettings. The card can be used in local companies such as: Exall & Jones, The Yankee Shop & Candles & Co., The Optimist, 57 Barbers, Mr Jones of Mumbles, ND John Wine Merchants, Café Play, The Rose Indianne, and The Clothes Clinic and many others soon to be confirmed. This companies on the card offer a wide range of services and will help to make life that little bit more enjoyable for Dawsons’ customers and staff. From clothes to café’s, DIY and candles for your home to food and wine, the Dawsons reward card has something for everyone. Senior Partner at Dawsons, Chris Hope said: ‘We are delighted to be affiliated with such companies, supporting each other in keeping business local and being able to offer both ours and affiliated company staff a little thank you for their loyalty. 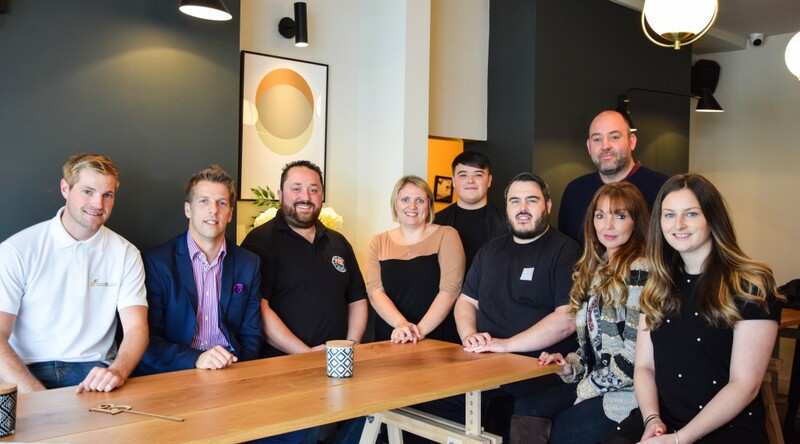 CAPTION Tom Hole (Exall & Jones), Ricky Purdy (Dawsons), Adrian Evans (Café Play), Naomi Webborn (Dawsons), Callum and Darren Thomas (57 Barbers), Geraint Davies (ND John), Catherine Williams (The Yankee Candle Shop and Candles & Co) Lucy Hole (The Optimist). When Andrew Davies decided to use Dawsons Estate Agent to sell his house he did not expect to be dealing with the same member of staff who he bought the property from 20 years before. “In these days of where you see the growth of online estate agents it’s nice to see that you can still get a personal touch from a local estate agent like Dawsons,” said Andrew. Tracy Sturgess, an associate at Dawsons’ Morriston branch, remembered only too well handing over the keys to Andrew back in 1997. “It is great to be dealing with Andrew again and it’s fantastic to see how the property has been transformed and developed in the past 20 years since we sold it,” said Tracy. 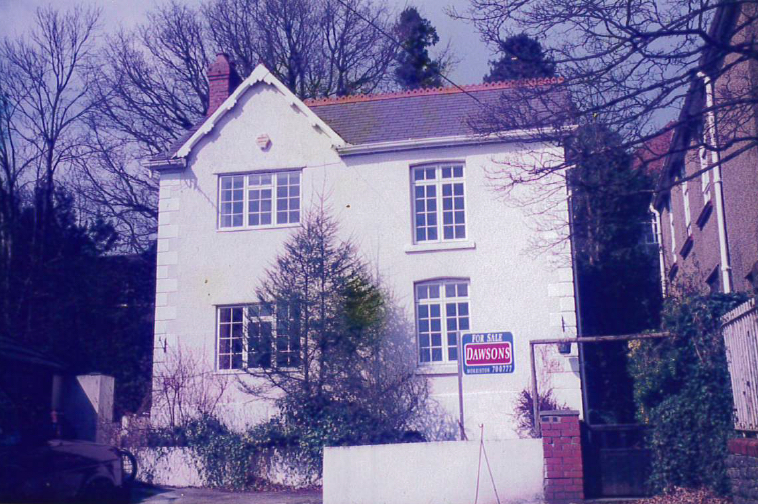 Quite a lot has changed since Andrew and his wife Anna moved into 33 Smithfield Road in Pontardawe on the same day that newly elected Prime Minister Tony Blair moved into No. 10. 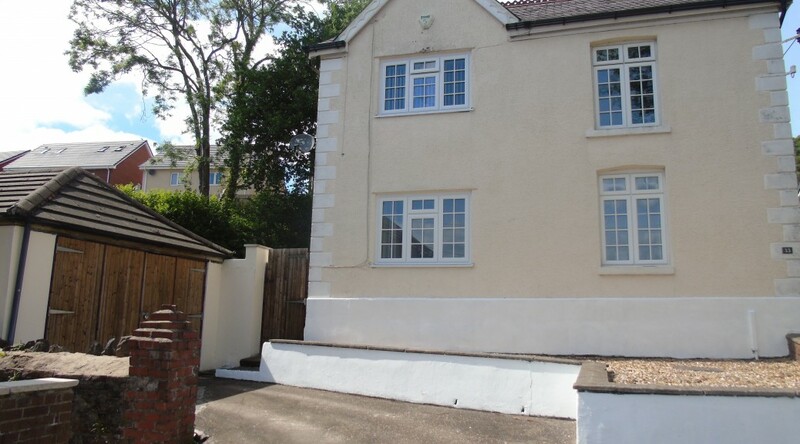 The property has undergone significant development and improvement since the original purchase. 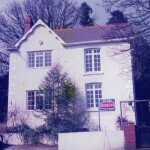 It is now back on the market for £285,000 but is almost unrecognisable from the house Mr and Mrs Davies purchased 20 years ago. “When we saw the property we fell in love with it and some 3 months later purchased from Dawsons. We saw its potential, and the space available – especially with the size of the garden,” revealed Andrew. In that time they have added an extra bedroom and utility room, later a new dining room and lastly a new kitchen as well as adding an office, master bedroom, playroom and lounge. It is now an immaculate four double bedroom detached family home. The accommodation comprises a 23′ lounge, 26′ fitted ‘Cream’ kitchen/diner family room with integrated appliances, a further sitting room, utility room, ground floor cloakroom, family bathroom, master suite with bedroom, en-suite and study. The property benefits from gas combination heating and UPVC double glazing. Externally there is a good size private mature enclosed garden together with driveway and garage. So why are the Davies family selling? “We have two children who have never lived anywhere else, one is starting University this year and the other is in his second year of A levels. So, both will have fled the Smithfield nest quite soon,” explained Andrew.